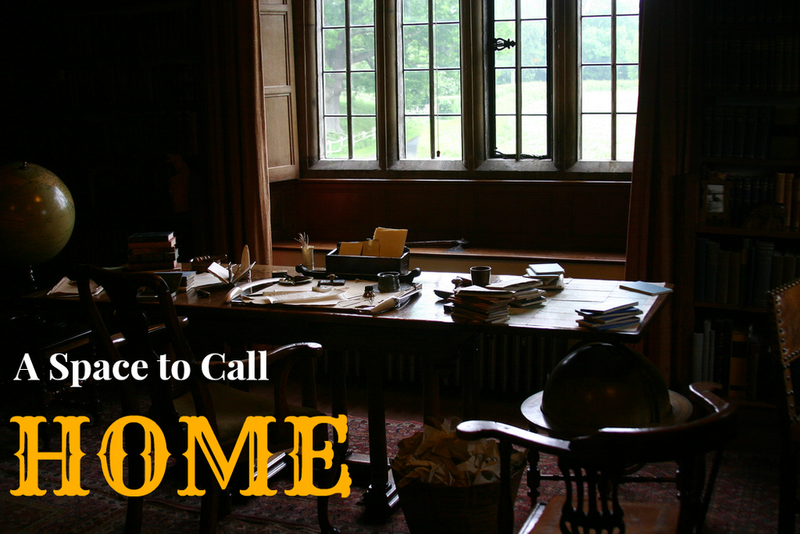 Great writers are known not just for their prose, but for their writing spaces. George Bernard Shaw had a rotating hut. Dylan Thomas did his best work cooped up inside a boat house. And J.K. Rowling, a more contemporary example, penned the Harry Potter series in an Edinburgh café. While you may not have your own special shed or writing carrel, you no doubt have a space where you prefer to write. For me, it’s my bed. I have a desk, but I can’t seem to do anything creative while sitting there. If I do anything other than homework, it has to be done in my bed. If you haven’t discovered your ideal writing space, this article should help you. Here are three elements to consider when choosing a place where you can put pen to paper or fingers to keys. The first thing you need to consider when selecting your space is surface type. For example, you need to figure out whether you prefer writing at a desk, in bed, or in a hammock. If you’re not sure, try every surface you can think of. See which one works best for you. There’s no rule that says you have to get your work done at your desk. Got a surface? Okay, good. Now you need to decide whether you’ll be writing inside or outside. In my experience, most people prefer the convenience of writing indoors. You have control of the temperature and won’t have to cancel a session on account of the weather. There are some people, however, who prefer working in the fresh air and natural daylight. You might very well be one of those people. Finally, you should consider writing in public versus writing in private. As I said before, J.K. Rowling loved writing in public cafés. She loved soft chatter of café patrons and the ready availability of coffee and tea. I, on the other hand, cannot work when there are people talking. I get the most writing done when I hole up in my bedroom. Once again, you’ll have to see which works best for you. Every writer has some sort of unique writing space. Some prefer writing at a desk, while others enjoy the comforts of bed. Writers can choose to do their work outside or indoors. Moreover, some authors like to pen their pieces in public, but there are those who would rather keep their insights hidden behind closed doors. Whatever you prefer, just remember that your writing space is just that—yours. As long as you’re comfortable, that’s all that matters. Try some spaces on for size and find your most productive place. What’s your favorite writing space?